In the beautiful Southwest, you have your pick between snowy peaks, warm deserts and everything in between. From a stay at Aspen Lodge to a hot air ballon festival there's much to see and do in the Southwest during December. We've rounded up a great collection of destinations to visit this month. Experience winter at the South Rim of the Grand Canyon. You will be surprised at the warmth and holiday spirit you will encounter. We offer tips for making reservations, packing and experiencing the best of the Grand Canyon. While many people vacation in Texas for only a week at a time, people from places with harsher winters have grown accustomed to spending the entire winter season in the Lone Star State. Here is a great list of places to stay and things to experience during a winter in the Lone Star State. Santa Fe is a beautiful place to visit at time of the year due to its unique architecture and blend of Anglo, Hispanic and Native American cultures. During the holidays traditions from those three cultures come together to create a unique Santa Fe experience. See the farolitos (little lanterns) and more in person when you visit. Sounds exciting! Rodeo, showgirls and even a Cowboy Christmas Gift Show. Held annually in Las Vegas, this 10-day mega rodeo event is a fun and different destination event for December. The event takes place at various locations around Vegas, so be sure to check the online schedule. Once again, the Phoenix Desert Botanical Garden will come alive with the magic of Las Noches de las Luminarias. Beginning the day after Thanksgiving and ending December 23rd, this evening celebration of Southwest luminarias, will put you in the holiday mood. Las Noches de las Luminarias is a great place to bring your out of town guests to give them a flavor of the southwest. 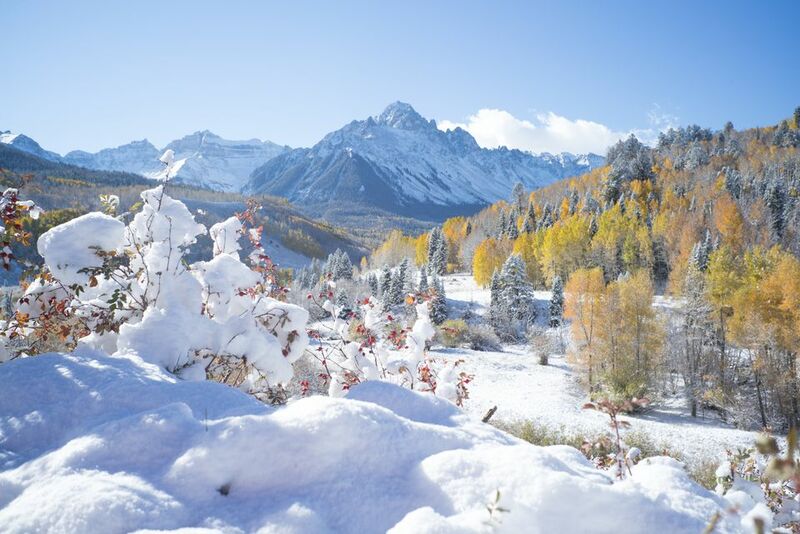 Celebrate the Christmas season at Aspen Lodge and experience the spirit of the holidays. Listen to the sleigh bells jingle as their Belgian Draft horses gently move you through the winter wonderland on a carriage ride. Let Jack Frost nip at your nose while ice skating with your family on their mountain lake. The main lobby will also be graced with a 25-foot fragrant, decorated Christmas tree. Each year, the London Bridge Yacht Club (LBYC) puts on the Boat Parade of Lights. Anyone with a boat and few lights can enter the parade. The Boat Parade is one of the Lake Havasu's signature events, and has earned several prizes for being a must-see event. This festival will be held on December 1 and 2 at the Tumacácori National Historic Park just south of Tubac, AZ. In recognition and celebration of the many cultures that were historically and are presently associated with the Santa Cruz Valley, the Tumacácori Fiesta presents the traditional creations of these cultures. The fiesta features some 50 food and craft booths, continuous live entertainment on stage, and children’s activities each day. A Mariachi Mass, preceded by a traditional procession, is held on Sunday beginning at 10:00 AM. The mission grounds are open throughout the weekend, and admission is free. Held annually the first weekend of December in Gallup, New Mexico, 200 balloons from across the Southwest and around the world fly the ancient canyon walls of Red Rock State Park. Frequently described as a balloonist's paradise, a highly prized invitation to this event offers pilots the opportunity to compete for fine Native American Arts and crafts. You'll want to have your camera ready as these rainbow colored giants come to life.